A pair of charts suggests stocks will stage a significant rally, no matter what happens with the midterm elections. 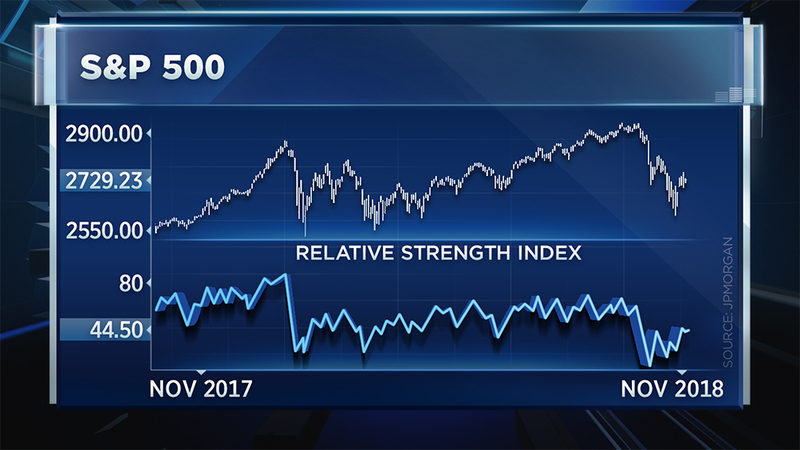 According to J.P. Morgan's Jason Hunter, investors could be on the cusp of solid gains following the October correction. "We feel comfortable thinking this is a late-cycle correction and not a bear market," he said Tuesday on CNBC's "Futures Now." "We feel confident that the market is going to head higher into early next year." Hunter, the firm's head of global fixed income and U.S. equity technical strategy, referred to the absence of the cross-market pattern that's developed before each of the recessions in bear markets. "The spread between 10-Year [Treasury] note yields and 2-Year [Treasury] note yield levels, as our lower panel here, and the progression that you generally saw was the yield curve inverts for the first time in each cycle," said Hunter. 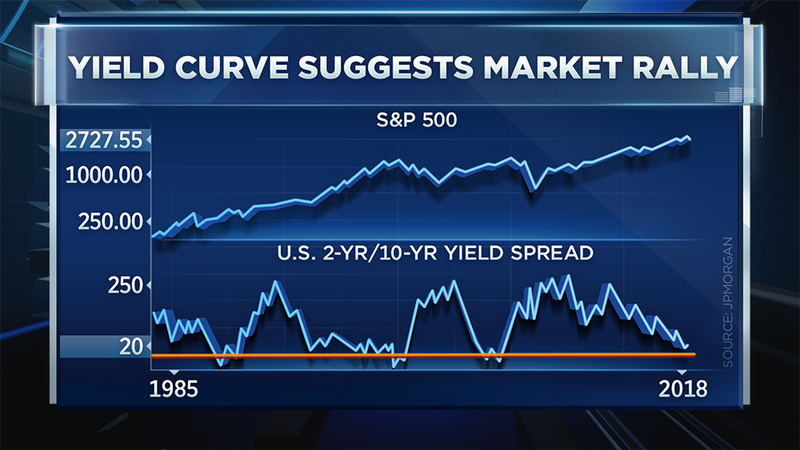 "The key takeaway here is while we saw some volatility twice this year, the curve is not inverted yet. We are still above that zero line. It's close, but zero matters here." Hunter's second chart illustrates the underlying structure of the S&P 500 so far this year. "You can see that as prices move lower, the momentum starts to trend higher, and ultimately that tells us that the correction is now getting long in the tooth," he added. "We're looking for a rebound to develop, and that's what we see happening right now." His analysis came as S&P 500 tries to lock in its fifth positive session in six. The S&P, which fell almost 7 percent in October, is up more than 2 percent in the last week. "The general idea for now: The curve is not inverted yet, so we'll treat the pullback as a late-cycle correction and not the start of a bear market," Hunter said.